Grizzly sizes up his surroundings before while fishing along the river. 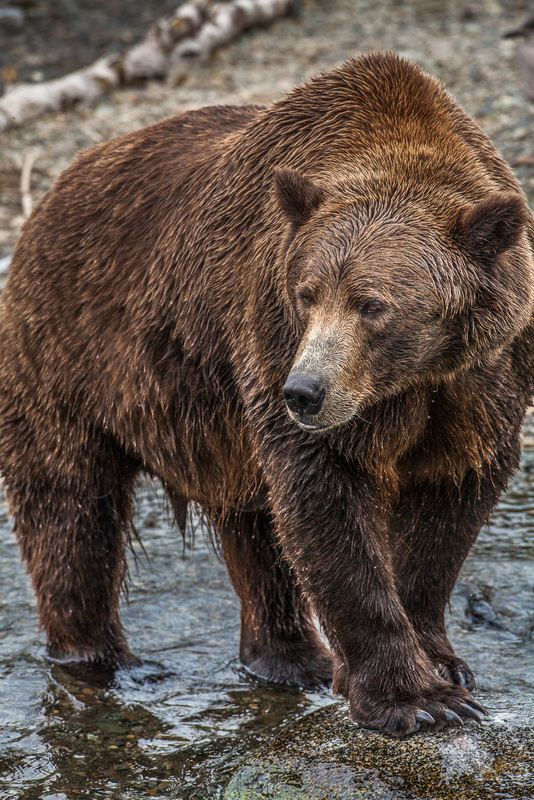 Bears can get over 2lbs a day eating large quantities as they bulk up for the winter. Photo © copyright by Lance B. Carter.